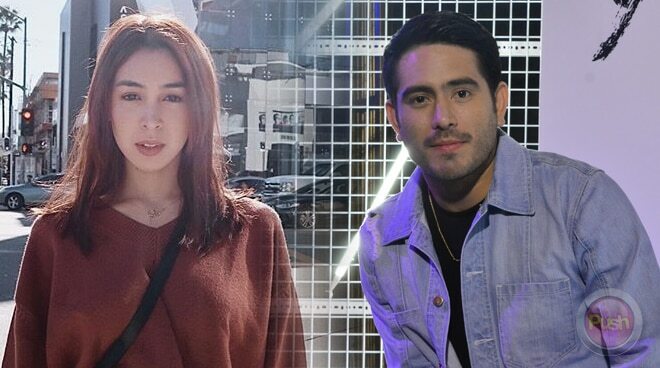 What does Gerald Anderson think about working with Julia Barretto? Gerald Anderson talks about his happy, busy life and career. With 2019 turning out to be another busy year for Gerald Anderson, the Kapamilya actor shared how it’s been having several endorsements, shooting a new movie, a teleserye, and opening his very first business venture, The Th3rd Floor gym. “Okay naman yung gym. Happy kasi ang maraming member tapos nakakatuwa pag nakikita mong nag-wo-workout sila. Unti-unti nag-i-improve sila everyday so yun yung maganda dun eh. Ako naman running everyday pa rin. Nonstop naman yun. Wala pang marathons this year,” he shared during the Skechers Move in Style launch of D’Lites X Bang held last April 6. In his latest film Between Maybes, Gerald is paired with Julia Barretto for the very first time. “Okay siya. Gustong gusto niya yung ginagawa niya at yun yung masarap kasama kasi yung mahal na mahal niya yung trabaho niya. Hindi ko alam kelan yung teleserye (laughs). Nag-stop kasi kami para sa movie. Eh malapit na yung movie so nag-focus muna kami sa movie and then babalik ulit ako sa taping,” he said.